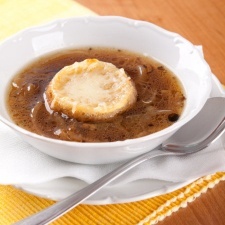 There’s just something special about a good pot of homemade french onion soup with it’s complex mixture of deep flavors. 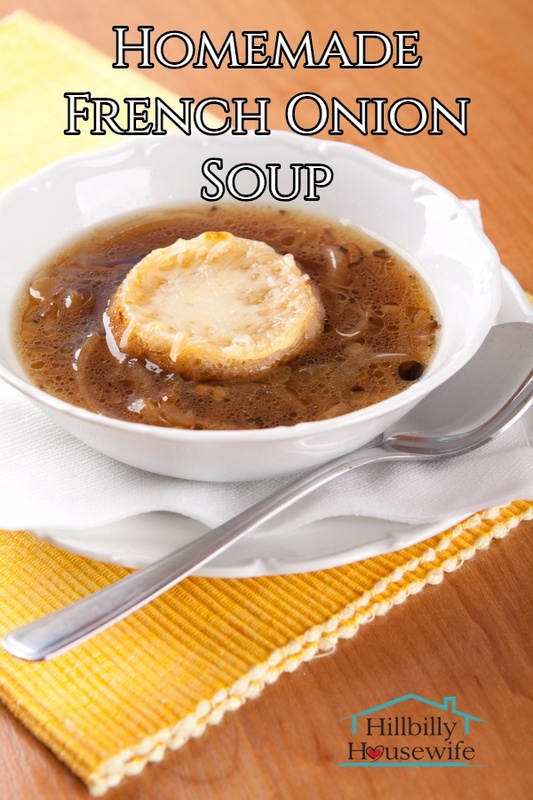 I usually make a big pot of this delicious soup on New Year’s eve and we all enjoy it with a hunk of homemade bread after coming inside from watching the fireworks at midnight. There’s just nothing better to warm you back up. 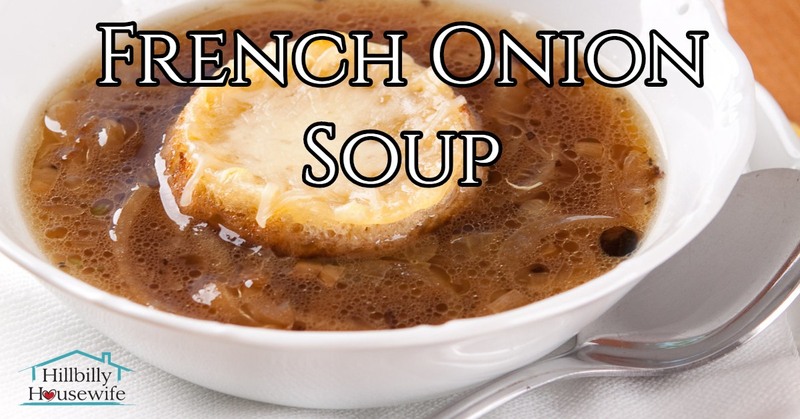 I hope you and your family will enjoy this french onion soup recipe as much as we do. Here’s how I make it. I am using both butter and oil to brown the onions. Butter gives it a nice rich flavor, but without the oil it would burn to easily. Heat the butter and oil in a large stock pot until all the butter has melted. Add the thinly sliced onions and cook them slowly over medium to medium low heat for a good half an hour or a bit longer until they are nice and brown. This will allow the onions to slowly release their natural sugars, crating a rich, deep flavor. Add the garlic and sugar to the stock pot and cook it another 10 to 15 minutes until the garlic is tender and fragrant. Then sprinkle the flour over the onion mixture and while constantly moving it around with a wooden spoon or spatula, cook the flour for a few minutes until it makes a thick paste or rue. 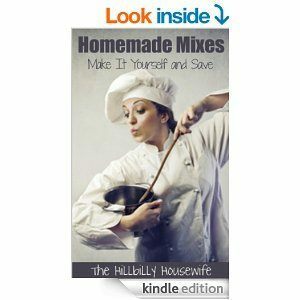 Keep moving the flour mixture around to keep it from burning at the bottom of your pot. Slowly add the broth and keep stirring. You will notice that the soup starts to thicken. Add the seasonings (except for the wine) and simmer the soup for 30 minutes. Continue to stir it so it doesn't start to stick to the bottom. Turn off the burner, remove the bay leave and add the wine. 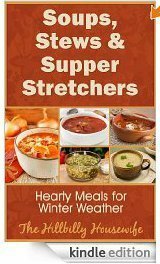 Ready for more delicious soup recipes? Try this homemade corn chowder, or this simple split pea soup.